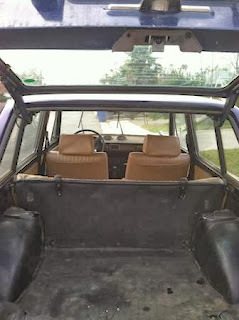 Just A Car Geek: 1977 Fiat 128 Station Wagon - Restoration Candidate or Parts Car? 1977 Fiat 128 Station Wagon - Restoration Candidate or Parts Car? I'm not really sure what we have here. 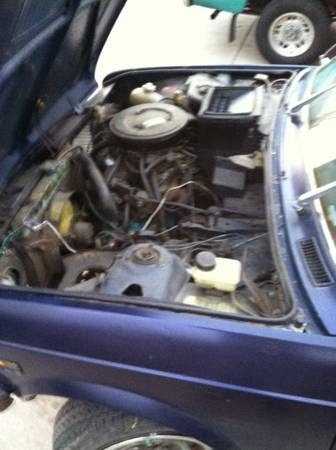 Is this a relatively rust free 128, needing some minor engine work and a transmission, or a parts car? Fiat was on a roll in the US in the 1970s. They sold a lot of cars here. A good number of those cars were 128s. The 128 was an advanced car in its day. It was Fiat's first mass-produced FWD car. The drivetrain's layout - a transversely-mounted engine with the transmission mounted beside the engine - was new technology back then. The SOHC 4 cylinder engine was new and designed by by Aurelio Lampredi, of Ferrari fame. The 128 had front disc brakes, rack and pinion steering and an independent suspension. 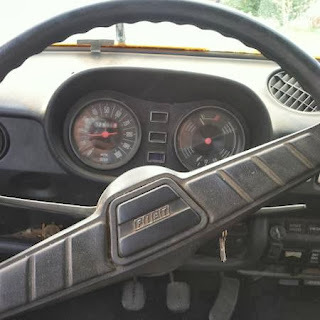 Pretty impressive stuff for a 1970s car, even more impressive on a car than cost less than $2500.00. The 128 body is boxy. It's practical and roomy, but not all that exciting to look at. This post / this car is really just for the west coast readers. This 128 needs to be seen in person. The ad is vague and lacks clear pictures. The seller, while seeming sincere, seems to know vey little about the car. It's not a car you woud want to buy sight unseen. 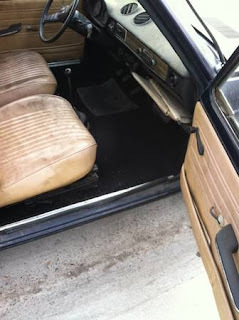 If this car really is rust free, it's a nice find, especially of you can do the mechanical work yourself. If not, it's a parts car, and an overpriced one at that. 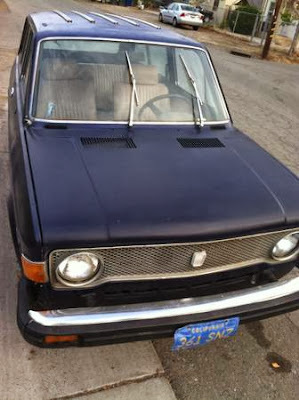 Located in Sacramento, CA, click here to see the Craigslist ad.